This past weekend we had quite the adventure. My parents took all three of us white water rafting down the St Louis River. They booked a guided trip with Swiftwater Adventures. 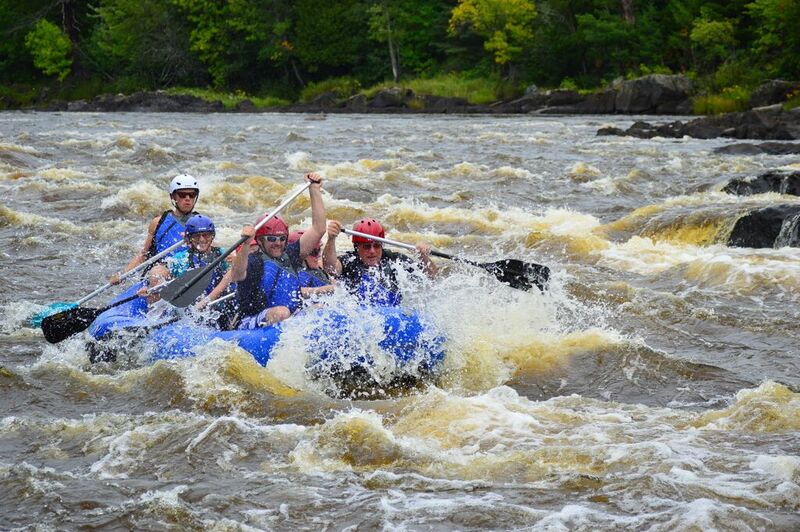 This group does rafting, canoeing or kayaking tours through northern Minnesota. I was a bit nervous at first for Mouse to try rafting. She is pretty small for her age and she doesn't have a lot of muscle. But after meeting with the guides and listening to their process and safety plan, I was no longer to worried. Mouse was still a bit scared but was up for the challenge. For this trip the guides had two other groups of rafters and a group of kayakers with us. We went pretty late in the season so the water was not at its highest, but thankfully we've had a lot of rain here so it was still fun. 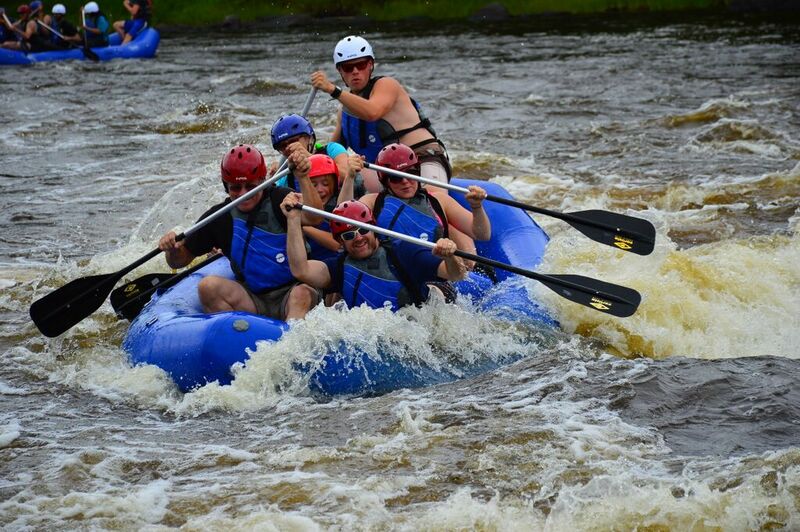 For first timers one or ones with kids late August / September is good time to try rafting. The water levels are down so the rapids are not so strong or high. That being said we still had pretty high waves. One thing to know about rafting is you are constantly paddling. I did not realize that when I said we would go. My arm with its nerve issues was pretty much shot after this day. But it was worth it. 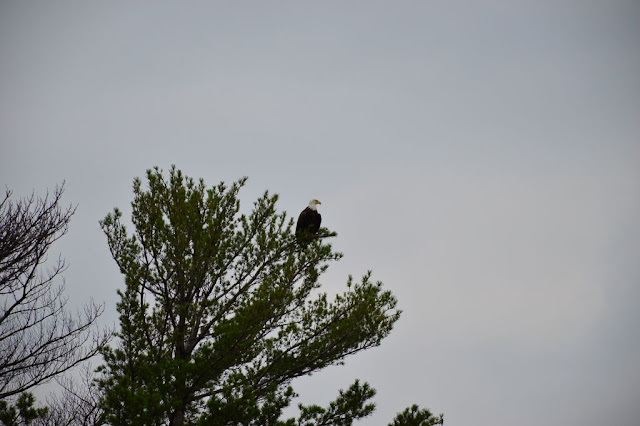 We even got to see some wildlife along the river. We had two eagles flying over us or just watching from the banks the whole time we were rafting. The river has some stretches of quiet areas where you can go out for a swim or just take in the views. We did a little of both. 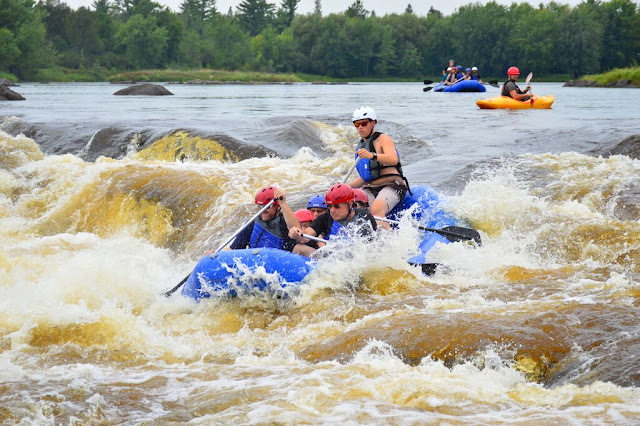 They have two other rivers they go on in Minnesota, I think it would be fun to check them out too.